Our goats temperament is of upmost importance and we spend many hours interacting with our herd on a daily basis. We only keep a small herd, as we believe in quality, not quantity. We have always admired the beautiful Anglo Nubian Breed, however, they were too big for our family. 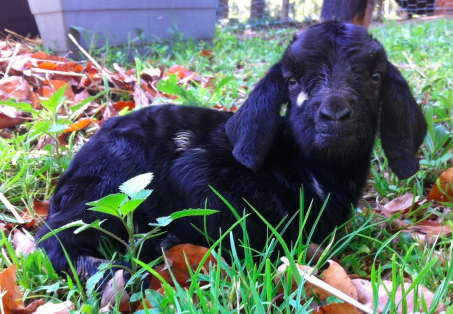 We searched all the goat breeds, and came across the "Nuwby" or Mini Nubian. It is a smaller variation of the Anglo Nubian. By crossing the Anglo Nubian with an Australian Miniature, the progeny do loose some of the striking Nubian characteristics but keep the floppy ears and great colours. They make fantastic home milkers, and have a wonderful gentle nature, and are very affectionate. We are aiming to keep their sizes between 58-66cm, however, there is NO height guarantee due to the Nubian heritage. We choose to Dam raise our kids, but spend many hours with them to make them nice and friendly. We will only bottle feed a baby if their mother rejects them or has too many mouths to feed. 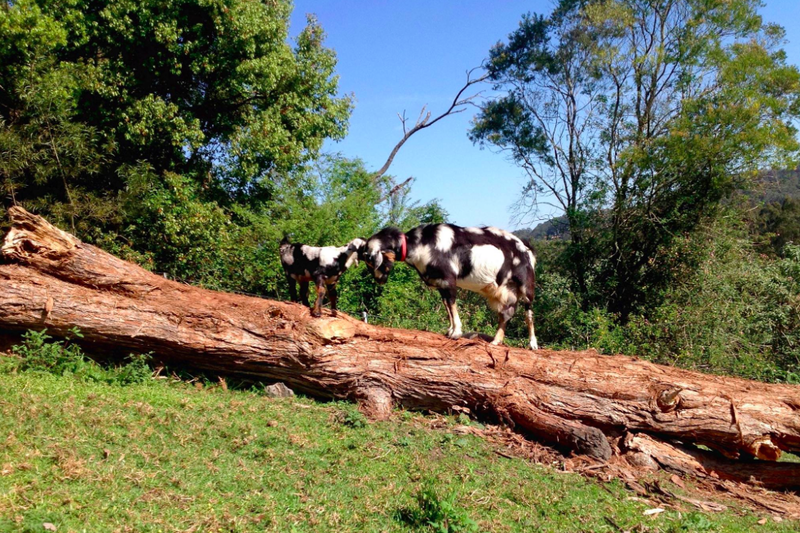 We find that they learn goat behaviours much quicker by doing what nature intended. 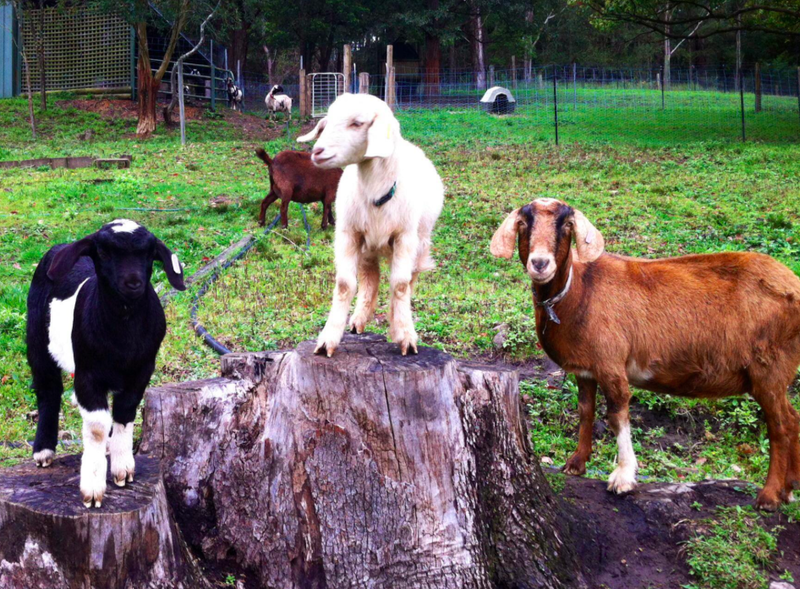 All our goats are kid registered with the AABMGS and MGBA. They are disbudded, vaccinated and wormed before going to their new homes at around 8-12 weeks. We provide an information booklet with how to best take care of your new pets, and are always available for advice if required. Disney Miniature Goat Stud is tested on a yearly basis for Caprine Arthritis Encephalitis (CAE) and Johnes Disease (JD). We are registered with the AABMGS and MGBA. We are located on the Central Coast of NSW. 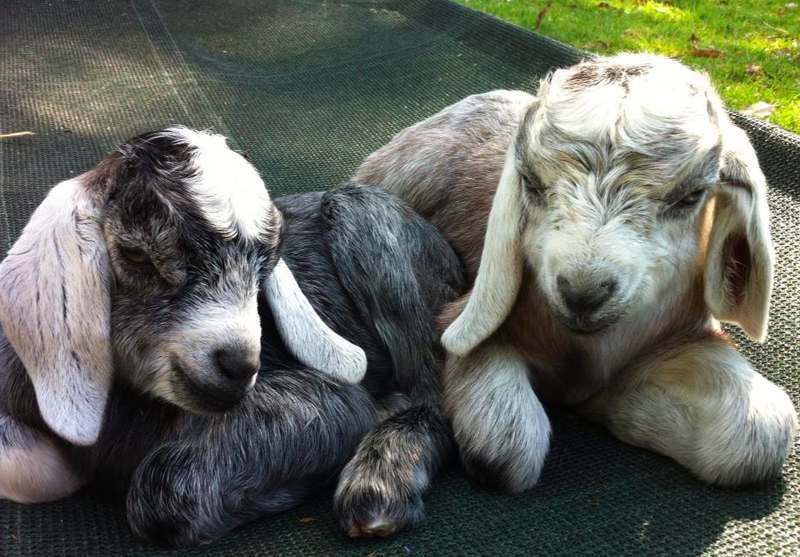 The Mini Nubians/Nuwbys make a great addition to any family. Once you've had some, you'll be hooked!